This is an odd duck, so I couldn’t resist buying a bottle. It’s unusual to see a wine made in the appassimento style for $7. “Appassimento” means the grapes were dried after harvest for several months to concentrate the flavor usually on bamboo racks. This is an expensive process since it takes time and you lose bulk when the grapes are dried meaning it takes more grapes to make a bottle of appassimento wine. And this wine’s origins are a bit of a mystery. On the winery’s website and in other bottle images I’ve seen, this wine is reported to be from Puglia, a warm region in Italy’s boot. But this bottle says the grapes are from Italy with no more specific identifier, so the grapes can legally come from anywhere in Italy. And when you read the fine print it says “bottled by Femar Vini Sri”. In other words, the wine was not made by the winery whose name is on the bottle. We don’t know who made the wine. All of this tells me they bottle a batch of this wine specifically for Trader Joe’s using bulk wine. But I’ve never heard of bulk wine made in the appassimento style—economically it makes no sense. The website says the wine is made from Negroamaro, Syrah, and Cabernet Sauvignon but I can’t be sure since it isn’t obvious the wine in the bottle is the same as the wine on the website. All mystery aside is the wine any good? If you like lush, heavy wines on the sweet side you will enjoy this and is good value for the price. It wasn’t for me. Aromas of blackberries and tarragon showed promise but the heat from the alcohol was distracting and made it hard to enjoy them. The palate is sweet, smooth and deeply concentrated with distinct raisin notes, but as with most very ripe wines with soft tannins, the ample acidity turns sour on the finish because the wine is out of balance. Stalwart yet sweet like a power ballad. Journey’s Don’t Stop Believin’ was locked in. I don’t care about your gardens, signs and cookbooks,” he continues. Everyone has those, but he might actually be open to purchasing them if he understands your brand and if the story behind it is truly compelling….Branding a winery, and setting it apart from its competition, is the single most important thing executives can do, he said. “I want you to get the message, feel the brand and have that oh-my-god-fill-in-the-blank moment [when you visit the winery]. Ah no. I don’t want to “feel the brand”. Branding is marketing and I don’t want to feel “marketed to”. The wine will speak for itself. And unless you’re revolutionizing winemaking, I can’t imagine what message you want me to get. Don’t tell me how much you love your vineyard or how committed you are to sustainability. Everyone says that. You’re making wine not memes. As to a story. Well, some wineries have compelling stories and some don’t. Most winery stories are some version of “successful engineer and family are tired of the corporate world and find the wine lifestyle attractive and so they work hard, save hard, and study hard to open their winery”. The details of that story can be compelling and original but too often it’s just more of the same. What matters more than the story is whose telling it. Winemakers and family members can usually make their stories interesting since you can connect the personality with the narrative. If it’s winery personnel reporting the story it’s going to be much harder to bring out the personality that animates the story. The moral of that story? Make the people whose story is being told available in the tasting room. It’s time consuming, no doubt, but that is what makes generic stories more relevant and memorable. To be honest, I seldom remember a winery’s story unless I spend a lot of time writing about it. What I remember are the people I met at the winery and their wines, if they were distinctive. Mr. Corridan continues, complaining that most wineries are lacking a warm welcome. Hands down the [Napa] Valley fails at the greet…It is not a Millennial, Gen X or Boomer thing. We all need a human being [to guide us at the winery] because maybe I am not smart enough to be tasting these wines or I need someone to hold my hand and tell me where the bathroom is. This lack of a welcome is true of the large wineries in Napa who cater to the limo crowd. I can’t say it’s true of the small wineries I visit there. But the general point is correct. A warm welcome is important, although assuming people are too stupid to drink your wines or find their way to bathroom probably isn’t the right attitude to adopt. The biggest problem with “the greet” is that some wineries get too busy and don’t have sufficient staff or space to handle the customers. Correcting this doesn’t require fancy design; it’s about efficiently staffing and organizing your tasting room. So what do these luminaries think is the solution to the cold, impersonal greeting? Since most wineries fail at the “greet”, several of the architects suggested replacing the human hello with the sensual flitter of light. Quimby suggests using warm light as an opening for your experience, which can take the intimidation out of your arrival at a winery. At Ron Sutton’s dream winery guests would be greeted with humans bearing tablets and all their information, including credit card data would be taken down. That tablet would then become their guide for the visit. Once guests are in the tasting room there is a bar in center where the wines are displayed. Then the tablet kicks in and all wines have sensors, so when visitors pour them the winemaker appears on the screen to describe what they are tasting. Then they can rate the wine and decide if they want to buy it. Dealing with the tablet also allows customers to ask questions privately and not to potentially be embarrassed about what they don’t know. The tablet will then invite them out to the vineyards and regale them with information about the grapes they are viewing. The winery would also have a cinema room where winemakers can tell their family stories and guests could have private parties. Once visitors exit the winery into the store “the tablet knows what you bought and everything has been paid for. You are now attached to the winery and know the winemaker.” What is more, the marketing department has all their contact information. Ohfergawdsake. To solve the problem of impersonal tasting room staff we’re now to be greeted with a drone snatching my credit card and then given videos to watch while we drink the wine. I sure hope the wineries who attended this fiasco didn’t pay too much for this advice. The problem with all these complaints is that they are tilting at windmills. Although we have a rich and highly developed vocabulary for talking about wine it is thoroughly metaphorical. That is because there is no literal vocabulary for describing wine. Even the fruit, vegetal and earth aromas that have become commonplace in wine descriptions are metaphors. A Cabernet Sauvignon is not literally a black cherry. It may smell vaguely like a black cherry but the word “like” there is the tell. “Black cherry” is a likeness, a metaphor useful for approximating the aroma of some Cabernets. No fruit descriptor we use to describe wine is close enough to its source, i.e. the actual fruits, to count as a literal description. We compare wine aromas to fruits and other edible substances because we have no alternative. And, no, a scientific vocabulary will not come close to usefully describing a wine outside the laboratory or winery where technical discussions need such a vocabulary. It’s fine to point out that a wine has a distinct odor of pyrazines laced with hints of thiols if you like. But pyrazines can smell like bell pepper or olive, thiols like grapefruit or gooseberry. And those differences matter.To claim that a Sauvignon Blanc contains pyrazines is almost tautological. Of course it does; that aroma is part of what defines Sauvignon Blanc. That is far too generic a description to be useful to readers of wine reviews. What the reader needs to know is how the aroma and flavor notes are working together to create an overall impression of the wine. No list of chemical compounds or esters will give you that. Chemical compounds don’t exist in isolation; they interact with other compounds to form emergent properties such as harmony, explosiveness, finesse and flamboyance, that are not reducible to the underlying chemical properties. It is those emergent properties that we enjoy and any description that leaves them out will be misleading. What we do need to investigate is how well metaphors serve the goals of wine criticism. To answer that we need an account of what the goals of wine criticism are, a topic I’ve been covering recently in several posts, as well as an account of how metaphor works to advance those goals. Are some metaphors better than others? What makes them so? How do readers know what wine metaphors mean? And how best can we teach them what they mean. That sounds like the start of another series of posts. Why Do Proponents of Mindful Eating Ignore Pleasure? Mindful eating is meant to nudge us beyond what we’re craving so that we wake up to why we’re craving it and what factors might be stoking the habit of belly-stuffing. 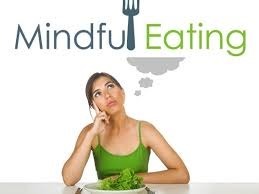 Notice that the purpose of mindful eating is not to get more enjoyment from food. It is to improve our health. The pursuit of pleasure is not sufficient reason to be thoughtful about food—it must contribute to a devotional practice or inhibit our tendency to overeat. Healthy eating is, of course, a good thing and if mindful eating encourages it then all the better. The oddity is not the doctors and nutritionists that, for good reason, advocate it but the fact that the public seems receptive to the message only if it will improve health outcomes. Enhancing the quality of pleasure isn’t on the table. This reminds me of a peculiar post a few years ago by evolutionary psychologist David Barash who extols the virtues of the Costa Rican diet that consists mainly of rice, beans, and fruit often eaten three times a day. The Nepalese diet consisting mostly of lentils comes in for some praise as well. Barash wonders, in light of our unhealthy fast food diet, why we don’t have a similar healthy, inexpensive but one-dimensional diet. And I can’t help noting that it’s unfortunate—maybe even tragic—that the United States, for example, doesn’t have an equivalent of rice and beans or dal bhat: a basic, healthy, inexpensive, easy-to-prepare default meal. Instead, we have “Happy Meals” that are nutritionally miserable, or variants on Coca Cola, Doritos, and cheeseburgers: high in salt, fat, sugar and, ironically, cost as well. This is a bizarre suggestion. Why is boring good? The problem with the American fast food/packaged food diet is not that it contains too much diversity. It is not as if the choice between Burger King and Wendy’s is a real choice. The problem is we don’t take the time to distinguish and focus on genuine quality. We approach food as if it were fuel—an assumption that underlies both linked articles. Unlike Costa Rica, we are a nation of immigrants. If we wish to avoid the sugar/salt/fat-laden American diet, we have a wealth of healthy, inexpensive options to choose from including rice and beans from Latin America, lentil-based dishes from India, the various healthy cuisines from the Mediterranean, and stir-fries from Asia. The many food choices we have in the U.S. are a good thing. But that virtue is undermined by the seemingly inexhaustible search for convenience and indifference to the quality of pleasure, both of which are encouraged by the idea that food is merely fuel rather than one everyday focal point for leading a life of excellence, which must include pleasure. In my judgment the ripasso style of winemaking is a treasure. They take grapes from a very ordinary varietal—mostly Corvina—and make an ordinary Valpolicella wine, which is to say it’s slender and tart. Then they use the leftover, dried grape skins from making the high-end Amarone, which have been raisinated to concentrate flavors and eliminate moisture, and re-ferment the Valpolicella on those skins, boosting the alcohol, flavor and body of what was originally a thin, weedy wine. 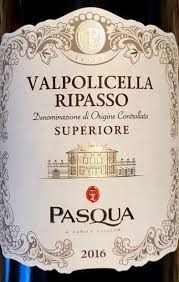 Ripasso literally means to pass over again. Ripasso style wines are rare outside Valpolicella—they are expensive to make because you need the leftover skins from the original raisinated wine. But they are available in wine shops and are usually reasonably priced. I’ve found they are almost always worth the money. This Trader Joe’s exclusive is no exception—a satisfying wine for $9. 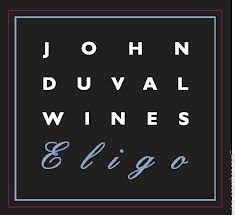 It shows some complexity on the nose—black cherry, lots of red plum, vanilla, a savory herbal note and dusty earth. 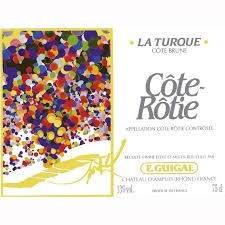 Soft, round, and full boded on the palate with hints of leather, there is sufficient concentration to give a sense of depth, and a narrow seam of acidity sustains a tautly drawn upper register given the wine some life. Unfortunately, the tannins are too soft so the wine lacks dimension but the finish is nevertheless of medium length and shows good fruit power through to the end. A fine everyday wine, it’s casual and comforting but taut and big bodied enough to seem rough hewn like Nina Simone’s Feeling Good. Vicki Denig performs a valuable service by explaining one of the new wine buzzwords—reduction. Unfortunately, the winemakers she interviewed weren’t quite on the same page. Winemakers now use the term frequently because more and more winemakers are practicing reductive winemaking as a way of preserving fresh fruit expression, and so it has crept into the wine lexicon as a way of explaining what is going on with a wine. Unfortunately, winemakers themselves (at least the ones quoted in the article) seem to be confused about which aromas indicate reduction. In Central Otago, Francis Hutt, winemaker at Carrick Winery, also supports positive reduction. For him, great examples tend to show stone, flint, and “semi-industrial” flavors. On the positive side, for Schoener, notes of roasted coffee, chocolate, dark and savory notes, to notes of rocks, hot stony surfaces, ocean, and even notes of animal excrement, can bring positive, layered characteristics to a wine. Coffee and chocolate I thought were oak derived aromas. Animal excrement, aka “barnyard,” is a “brett” derivative. Rocks and sea breeze, again, we’ve been classifying as minerality. So is the take home point that we should be using the term “reduction” instead of “minerality”? That won’t fly because lots of wines smell of rocks that are conventionally made, without reduction. So after reading this article I am more confused than ever. It’s the job of philosophy to confuse readers; not journalism. We drink wine in a variety of situations. Almost all wine drinkers drink wine to accompany meals, loosen inhibitions at a party, relax after work or to savor while cooking dinner. 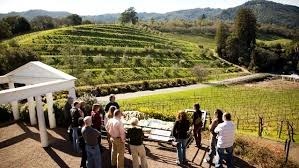 Many share wines with family and friends, visit wineries on weekends or attend tastings where education is part of the agenda. Some wine lovers study a wine and savor it over several hours; others taste wine professionally. In most cases there is something else going on when the wine is poured; distracted drinking is unavoidable. Given this diversity of situations in which wine is consumed, we need a variety of approaches to wine tasting in order for our level of attention to fit the situation. In fact for many people, their wine drinking is stuck at one of these levels. It seems to me there are 6 such categories that organize our level of attention and type of focus. 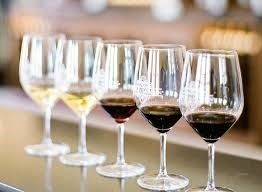 Background tasting involves tasting when there is something else going on that requires your nearly full attention. At best you can occasionally steal a moment to taste and think about the wine, but your attentiveness to the wine dips in and out and you can find yourself consuming a glass without ever having focused on it. Dinner parties, if you’re the conversational type, usually require background tasting. People who drink wine out of habit or because it’s there may never taste any other way. In this category one sees wine appreciation as something to aspire to and the taster may have learned a bit about varietals or wine regions. 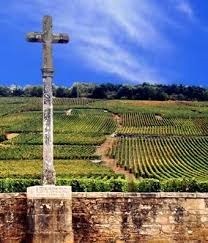 But the focus is on what is widely accepted and discussed as something to be noticed about a wine. There is searching behavior going on as the taster tries to identify aroma or flavor notes but at best only isolated parts of the wine are identified without attending to how they fit together or what they mean. 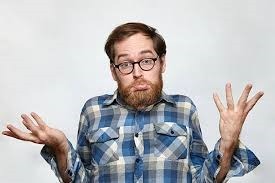 In some cases this kind of tasting experience may be more about appearing sophisticated or hip with no effort to genuinely comprehend the wine. But usually this is just an early stage in acquiring genuine expertise. Focusing on what other people say is part of learning how to taste. 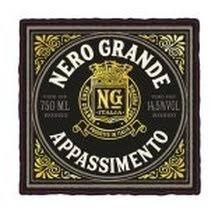 The narcissistic taster is a genuine connoisseur with experience and good taste. But her response to the wine never gets beyond I like or I don’t like it. There is no attempt to understand why the wine is good or bad or to communicate reasons for her judgments based on features of the wine. The wine itself is seldom the focus of attention—the attention is directed at her own reactions. Prisms reveal the complexity of light by refracting light rays that display colors not seem without the prism. There is a kind of wine tasting experience that functions like a prism. No one can engage all the features of a wine at once. Wines are too complex for one-off sampling and only a series of tastes over time, with attention systematically focused on various dimensions of the wine, will get the whole wine into view. For instance, you can’t seek obscure aroma notes while at the same time allowing the wine to induce an imaginative state. The former act of attention requires intense focus while the imaginative state requires relaxed, diffuse focus. Yet, like a prism, that search for aromas can put you in an imaginative state. It can send the mind on a journey enabling you to think of metaphorical attributions that help get the whole wine into view. This is where we get wine descriptors like “brooding”, “a street walker”, or “the parry and thrust of acidity”. Unfortunately, there are many in the industry who think prismatic tasting should not exist. This is the kind of tasting required to pass difficult certification exams and used by professionals to converse about wine. It is the self-conscious scrutiny of aroma notes and structural characteristics, a narrow field of attention compared to prismatic tasting, which aims to objectively and accurately identify features of the wine that have a bearing on quality and typicity. The question of which of these types of tasting experiences are genuine aesthetic experiences is important but will have to wait for another day. This taxonomy was inspired by the taxonomy of listening experiences developed by John T. Lysaker in his very fine book entitled Brian Eno’s Ambient 1: Music for Airports. The term “prismatic listening” was coined by him.